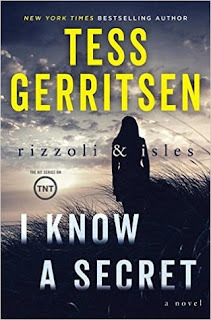 My thoughts: I am a huge fan of Tess Gerritsen's Rizzoli and Isles series and I was so happy to see there was a new book out in this series...it's been a while since the last book - three years to be exact! This latest book was so twisty and intense - just how I like these books to be. I love that in these books, we are dropped right into the crime - there is no easing into it. It takes off right from the start and doesn't let up until the very end. The first case that Maura and Jane are called to is quite gruesome but it is the second murder that really has their heads spinning. I loved the symbolism used here in these and the subsequent cases - it's quite clever and this is where I feel Tess Gerritsen really shines. She is able to give not only the forensics of the case, but also so much more. Of course, not only do we have the cases going on, but there is also lots of character development happening as well. This is what I most love about this series and I feel Tess balances it so well - you have the heaviness and darkness of the cases, and believe me, at times it is quite dark, and then you have the lightheartedness of what is going on with our beloved characters, some much needed quirky family drama. But of course, most of the character development only makes sense if you have been reading this series in order. That's not to say that you couldn't pick up this book and read it as a stand-alone because you totally could. You would just miss out on some of the back-story relating to the character development and to me, that's the whole point of a series. This book has some crazy twists and really kept me on my toes, guessing as to who was behind the murders. I sure do hope we don't have to wait another couple years before the next book in this series comes out, especially since the tv show has been cancelled (and I loved the tv version of this series, however different it was!). 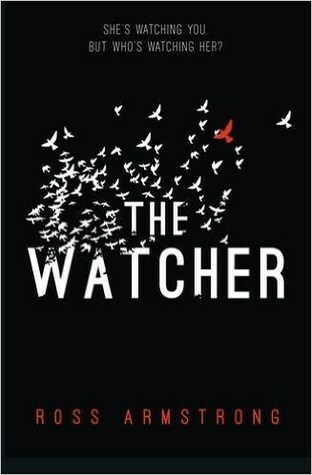 This is a gripping read full of intrigue and suspense - a great installment to one of my favorite series. Audio thoughts: This is such a fun series to listen to, despite it's heavy, dark nature and I think Tanya Eby does a great job with it. She's been narrating the last few books and I love the consistency in that. I'm a big fan of having the same narrator narrate a series, whenever possible - it just helps keep voices straight and makes sense - and having Tanya stay with this series has been great! She really makes an effort to give each character their own unique voice and I enjoy her narration. But when a second victim is discovered strangled in an alleyway, then a young family shot in their own home, Lucy and the team must face the unthinkable reality - a killer is walking the streets of their town. A dark, gripping and sinister crime novel that will hook fans of Patricia Gibney, Joy Ellis and Angela Marsons from the very first page. My thoughts: This is the second book in Helen Phifer's Detective Lucy Harwin series and I quite excited to read this one. It's a dark, gritty police procedural series that opens with a bang and keeps you engaged throughout! Detective Lucy Harwin just might be one of my favorite detectives out there. She's feisty and tough, yet she dedicates her all to the cases at hand. She is determined to track down this killer before he/she strikes again. And despite having to work with her nemesis, DI Patrick Baker, she is the ultimate professional - at least outwardly. The storyline is incredibly complex and the way it is told, in my opinion is absolutely brilliant! Having parts of the story narrated by our murderer is just chilling. Being able to delve into this character's childhood and see what sparked the idea of becoming a serial killer, while sick and twisted, really brings this character's motivations to life. The pace of this book is just right - not too fast, but not that slow either. It hooks you right from the start and doesn't let up until the very end when you are left completely stunned at the reveal of who the murderer is. I was totally shocked and definitely didn't see that coming. My only complaint is that I felt the book ended a bit abruptly...we find out who the killer is, all is good and then BAM, it's over practically in the next sentence. Kinda weird, but I guess that happens sometimes. Oh well...either way, I will definitely be looking out for the next book as I really enjoy this series and want to see what happens next for Lucy! 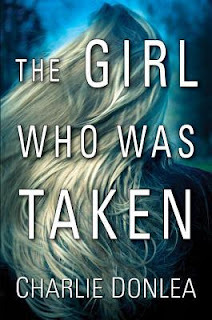 Charlie Donlea, one of the most original new voices in suspense, returns with a haunting novel, laden with twists and high tension, about two abducted girls one who returns, one who doesn't and the forensics expert searching for answers. My thoughts: I first became a fan of Charlie Donlea after listening to his debut novel, Summit Lake, last year. I loved that one, so it was with baited breath that I waited for his sophomore novel to be released...and I definitely wasn't disappointed! Once again, we have a very solid mystery with a crazy twist at the end that I definitely did not see coming. This time around, it involves two abducted girls - one who returns and one who doesn't - a cult who focuses on kidnappings, and the forensic pathology fellow who is determined to get to the bottom of the case. 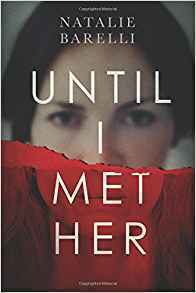 I loved the way the story was told - two timelines, one in the present day, where Livia and Megan are working to put together what really happened that fateful night, and one in the past leading up to the kidnapping. As we get deeper into the story and each of the story lines are flushed out, it becomes clear who is involved and where it is all going - that's where the tension starts rising, that's where your heart starts beating frantically as you reach the conclusion. I have to say that when we first meet Megan, I wasn't exactly a fan. I felt that she was a bit full of herself and all about seeking attention. But, as time goes on and we learn more about her, you start to realize that there is way more to her than meets the eye. She has substance to her and is really concerned about Nicole. By the end of the book, I really liked her a lot! This book kept me engaged from start to finish, with plenty of twists and turns. And I loved all the forensic details we are given - though, fair warning, it isn't really for the faint of heart! I do wish, though, that the book hadn't ended as it did...I would have loved a bit more about the why behind the kidnapper's motives or something. There didn't seem to be anything like that. And I would love to see more of Livia - she is such a great character...I think she would make a great protagonist in a series! Either way, I am definitely adding Charlie Donlea to my auto-read list...his books are just so good! Audio thoughts: This was such a great book to listen to and I think Nina Alvamar did a fantastic job with the narration. Her pacing and tone were spot on and she gave all the characters their own unique voices. She really brings the characters to life with her narration. 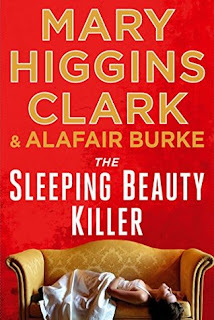 My thoughts: This is the third book in the Under Suspicion series, a collaboration by Mary Higgins Clark and Alafair Burke and I really am enjoying this series. So far each installment has been quite different and engaging and the character development has been stellar. I love Laurie's character, but in this installment, I found her to be a bit lacking. Perhaps it was because of her and Alex's split - both professionally and personally. I admit, I am a bit bummed that he is not part of the show and am not a fan of Ryan. I sure hope he does not last too long! While I admit I did guess the true killer early on, I found it quite fun to figure out the why. As the show unravels the case, it was interesting to see how the pieces would come together and I definitely didn't see all that coming into play. There are many twists and turns and a few instances of danger for Laurie that keep you on your toes - this is why I enjoy this series and this was the first time I guessed the murderer! I am a fan of this collaboration and love the way these two powerhouse authors have created a fun, intriguing series that keeps you engaged throughout. I just hope that we haven't seen the last of Alex...I really like Laurie and Alex together! Audio thoughts: This is such a fun series to listen to and Jan Maxwell does a superb job narrating it. She gives each character their own unique voice and carries those voices over from book to book. Her pacing and tone are spot on and she infuses just the right amount of tension and emotion into the voice as needed. My thoughts: Sometimes you pick up a book and you aren't quite sure what to think of it...even after sitting on it for a while. That is how I feel about this one - what the heck did I just read? 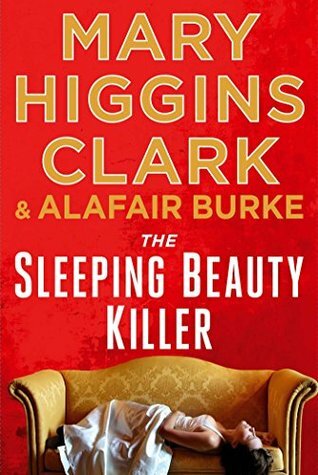 Domestic thrillers seem to be picking up steam and I would certainly classify this book as just that. It's intense for sure, it's full of unreliable characters and boy oh boy do these characters have secrets. I think that's what kept me going - I needed to find out what was going on and where it would all end up! I have to admit, I was hooked. The story is told from three points of view - Stephanie, Emily and Sean. We start off hearing from Stephanie, both from her and through her blog. Then we hear from Emily and Sean, but believe me when I say - nothing is as it seems. Each of these characters have more secrets than you can possibly imagine. 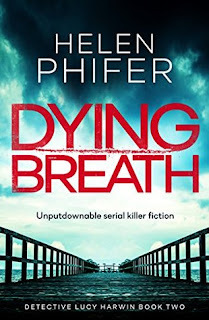 I will say that the book starts off a little slow - while I found the use of the blog to tell parts of the story interesting, at times its quite cloying and annoying. Though, I I did think it was quite interesting how the blog posts Stephanie writes were very different than reality...hmmm! But, once it gets into the real life of the characters - then the story picks up. Fair warning though...these characters really have no redeeming qualities...these are the kinds of characters you love to hate! But I think that's what makes this book all the more addictive...you want to see them get what's coming to them. And trust me, you definitely won't see how this all plays out! All in all, this was a rather uniquely enjoyable thriller that kept me engaged. I would definitely check out what comes next from Darcey Bell, especially if she wrote another book in this genre! Audio thoughts: Listening to this book was quite a treat. I am a big fan of Xe Sands, but the other two narrators were new to me. That being said, I thought they all did a great job with this audio production. I really enjoyed it and will certainly be looking to see what else they have narrated. An arsonist is on the loose in Colmstock, Australia, most recently burning down the town's courthouse and killing a young boy who was trapped inside.. The clock is ticking for Rose Blakey. With nothing but rejections from newspapers piling up, her job pulling beers for cops at the local tavern isn't nearly enough to cover rent. Rose needs a story-a big one. In the weeks after the courthouse fire, precise porcelain replicas of Colmstock's daughters begin turning up on doorsteps, terrifying parents and testing the limits of the town's already fractured police force. Rose may have finally found her story. But as her articles gain traction and the boundaries of her investigation blur, Colmstock is seized by a seething paranoia. Soon, no one is safe from suspicion. And when Rose's attention turns to the mysterious stranger living in the rooms behind the tavern, neighbor turns on neighbor and the darkest side of self-preservation is revealed. My thoughts: Last year, I read Anna Snoekstra's debut novel Only Daughter, which I liked and have been looking forward to seeing what she wrote next. So when I saw that her sophomore novel was available on Netgalley, I jumped at the opportunity to read it. This is a smart, small-town crime thriller, that focuses on what happens when people act without thought to the consequences. It isn't really fast-paced at all, it has more of a slow-burning aspect to it that will consume you as you read it, desperate to figure out how all the pieces come together. What I really enjoyed was the sense of paranoia that develops as the story progresses. The suspense ratchets up and you end up not knowing who is trustworthy. The characters, while not very likeable, are compelling and they get under your skin - you just need to know what is really going on and why. This atmospheric mystery was full of suspense, yet has a dark underlying tone to it. 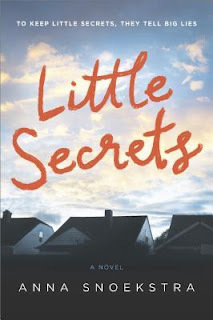 It a small-town filled with secrets and kept me guessing right up to the very end. I look forward to seeing what comes next from this author. My thoughts: This is the fourth and final book in Elin Hilderbrand's Winter series and I am so bummed! I absolutely fell in love with the Quinn family and loved being able to visit Nantucket these past four years during the winter. Before I go any further...I will say that to fully appreciate this series, I think you really should read these books in order. The books are quite short - all less than 300 pages - and they are rather quick reads. The character development builds from the first book, with each one adding on a little more, and that really is the heart of this series, and this last one really does tie everything up, for good or bad - all loose ends are wrapped up as we bid the Quinn family one last goodbye. But of course, that's just my opinion. So, here we are, the fourth book - a bonus book in what was supposed to originally be a trilogy - of an outstanding series...a series about what can only be called a dysfunctional family. Don't get me wrong - I loved the Quinn family...but they were dysfunctional. But that's what made them so endearing because they weren't this picture-perfect family. They had issues - all of them! And in this latest book, we get one last chance to see what they are up to. Most of them are, as usual, in some sort of limbo - about to make a big decision that will affect the rest of their life. But that's not to say the book isn't without it's usual drama - because there is plenty of that, too. There are also a few cameo's throughout the book of some minor characters who were part of story lines in earlier books. I liked this...I liked seeing them one last time, having them pop in again as a final goodbye. But the best cameo by far was Fast Eddie and his family. If you've read The Rumor, one of Elin's summer books than you know all about him...and if you haven't - you really should (it came out in 2015). I loved seeing him in this book and I believe this was the first time Elin has done a cross-over like that with her characters. This book has all the feels...it will make you laugh and smile and it will most likely also have you shedding a few tears. 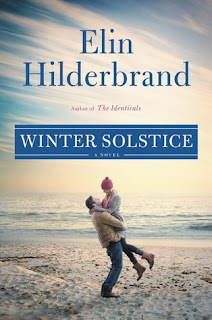 It is a fitting ending to a great series and while I am sad to see it end, I am happy to report that Elin Hilderbrand will be writing another series...YAY!!! I absolutely love her books - I have read everything she has written to date and have met her numerous times. She is genuine and charming and her books are the perfect balance of fun with a little substance. Audio thoughts: Erin Bennett really does a great job narrating this book. I had listened to the previous book and really enjoyed that narration, so I decided to listen to this one as well. Erin gives each character their own unique voice, her pacing is good and she uses just the right amount of emotion in her voice as needed. My thoughts: I love when I get unsolicited books, especially ones that are from debut authors...you just never know what to expect. Luckily, this one ended up being such a crazy, twisted ride with one interesting, compelling narrator that just begged you to keep reading to see what was going on with her! 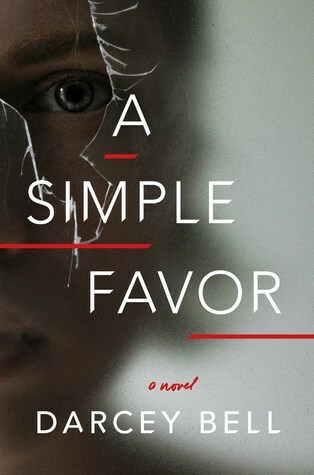 It's no surprise that I love a really good psychological thriller and this one is just that. I will say I was a little weary of the whole bird-watching thing, but that just adds to a crazy dimension to the story. It's told in journal-like format from the perspective of Lily and she is a bit out there - to the point where you start to wonder if you are dealing with an unreliable narrator - luckily for me, I absolutely cannot get enough of these types of books, so this totally appealed to me. I loved that I had no idea where this book was going. I was on edge the entire time, trying to put the pieces together, trying to guess what Lily really saw through her binoculars while she was birdwatching one day. She's convinced a woman was murdered and her mission to find out the truth borders on obsessive. At the same time, the twists and turns that occur in the book are dark and creepy and will keep you frantically flipping the pages until you reach the conclusion. I enjoyed this atmospheric, haunting novel and will definitely be keeping an eye out for what comes next from Ross Armstrong. 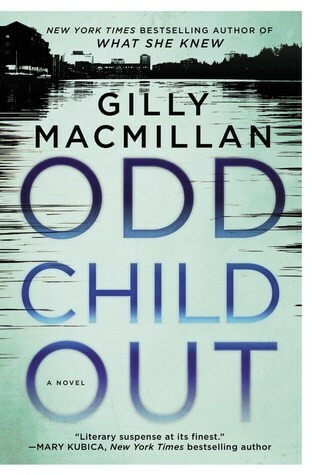 My thoughts: This is Gilly Macmillan's third book and the second book in her DI Jim Clemo series. 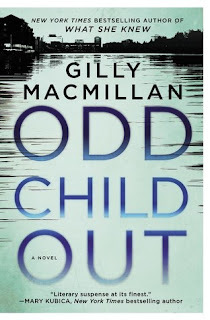 It was one of the books that was high on my list of priorities at BookExpo last Spring...Gilly Macmillan is definitely an auto-read for me! I loved this book - I loved the set-up and how it drew me in right from the start. It is a slow-burning suspense and the use of multiple narrators, each chapter alternating from narrator to narrator, just helps to ratchet up the tension ever so slightly. I felt that each time something was about to be revealed, each time we were on the cusp of fully having something being completely developed - there would be a switch of narrator and it would leave you hanging until you got back to that narrator again. It was like mini-cliffhangers almost throughout. But at the same time, all these threads are being woven together to develop a full picture of what really happened. It really was a brilliant way to tell this complex, yet heartwrenching story. And that brings me to the characters - they are absolutely what made this story. I have never felt more attached to the characters in a book as I did in this story. DI Jim Clemo was already a favorite from Gilly's earlier book, What She Knew, so I was excited to see him again. This is his first case back from that book, and what a case to come back to! Then there are the two boys, Noah and Abdi. I had such a sweet spot for both of these boys, for different reasons and loved the way Gilly made each of them so strong, yet so vulnerable. This book is all about relationships, and that is so evident in how Abdi's mother and sister, Maryam and Sofia are portrayed. I loved the chapters that were narrated by Sofia - such a strong young woman she was, yet so conflicted by all that was going on around her. All these characters were so richly and realistically drawn, yet full of flaws. This book is so much more than a straightforward mystery. It touches on some heavy topics, including race and immigration, yet it also looks at family and what you consider your "family" to be. 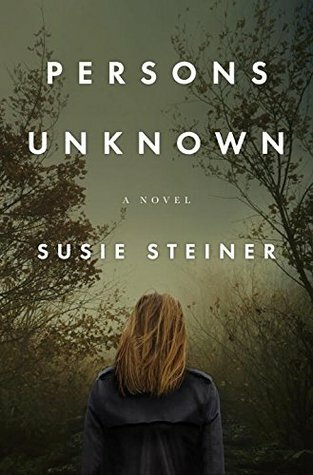 Secrets abound in this book and as it typical in must suspense books, this is definitely a case of being more than what first meets the eye. This book will keep you engaged from the very first page and have you begging for more as the pieces start to slowly come together to all make sense. It truly is a brilliantly written, memorable book. Beatrice Johnson Greene, a bestselling crime writer, has an unusual favor to ask. When a chance encounter brings Emma Fern into her life, she thinks she’s found just the person for the job. Soon Beatrice will wish they’d never met. For Emma, desperate to please, it’s an offer she can’t refuse. All she has to do is lend her name to Beatrice’s next novel, her first in a new genre. But when the book becomes a huge triumph, Emma finds herself the toast of the literary world. From nobody to somebody without writing a word. It’s her first taste of success, and now Emma wants more. This is her masterpiece, after all. It says so on the cover. Only Beatrice knows the truth. And surely there’s a solution to that. My thoughts: I think when you read as many psychological suspense novels as I do, you tend to find that they somehow have the same feel to them in some way or another. Yet, this one, this debut novel from Natalie Barelli, totally breaks that mold. It is unique, witty and grabs your attention from the very beginning. This is the tale of a friendship...until it isn't. It's about how far you are willing to go to protect something that shouldn't even be yours in the first place. I loved the craziness of Emma. But what I loved the most is the way everything played out. You aren't quite sure just what is going on...who is really manipulating who here. There are some really twisted, crazy characters here, not at all likeable, but compelling to say the least. They get under your skin and you just have to keep reading to find out what is going to happen next. This is the type of book where you are not sure where it is going to go. It's very captivating and takes on some rather intriguing moral and ethical dilemmas. An addictive read, for sure, and I cannot wait to start the next one in this series, which I hope is just as addictive and crazy! Audio thoughts: I thought Kate Rudd did a great job with this audio production. She was really able to bring these characters to life and use just the right amount of tension and emotion in her voice as needed. As dusk falls, a young man staggers through a park, far from home, bleeding from a stab wound. He dies where he falls, cradled by a stranger, a woman's name on his lips in his last seconds of life. Detective Manon Bradshaw handles only cold cases. Five months pregnant, in pursuit of a work-life balance rather than romantic love, she's focused on being a good mother to her two children: her adopted 12-year-old son, Fly Dent, and the new baby. 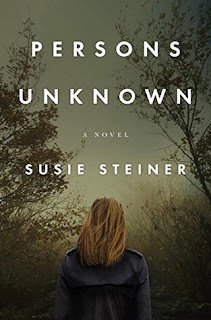 My thoughts: This is the second book in Susie Steiner's DS Manon series and I just love this series. I had stumbled onto the first book in the series and was pleasantly surprised by how much I loved it, so I was quite eager for the next one to come out. While I had picked up the galley of this book at BookExpo, I had enjoyed the narration of the first book so much, I decided to listen to this one as well and am so glad I did. I just love DS Manon Bradshaw...she's quite the contradiction at times. She's tough and inconsiderate and pushy, but then she's also loving and feels all the guilt about being a single, working mother. She's a deeply flawed character and this makes her all the more relatable. Now that she finds herself pregnant, her guilt seems that much more magnified and though she's supposed to be working cold cases to keep her work life a bit more quiet, when the murder of her sister's ex happens, that all goes out the window. Life has just got really complicated...and about to get even more so as the main suspect is none other than her adopted son. I love that there are multiple narrators in this book. We have Manon; DS Davy, who is working on the murder and was part of Manon's team from the first book; a shop clerk named Birdie and a young woman named Angel who Birdie ends up helping. At first, I was a bit thrown off by the parts told by Birdie and Angel, but I have to say, I became just as consumed by their story lines as I was with the rest of the book. In a way, I found it to add a bit of suspense, as I found myself constantly wondering how this all tied together. This is such a complex novel, yet it brings about such a level of sympathy among characters - it's so unique in that way. I would almost venture to say that this crime fiction novel leans more to a character-driven plot than an action one. It's tightly woven and highly engaging, and one of my favorite series and I cannot wait for the next book! Audio thoughts: I was thrilled to see that Juanita McMahon was narrating this book. I thought she had done a great job with the first book and so I jumped at the opportunity to listen to the second book. I felt that she was pretty consistent with the voices in this book and gave each character their own unique voice and personality. Her pacing and tone were spot on and I really hope she continues to narrate this series for as long as it goes on. 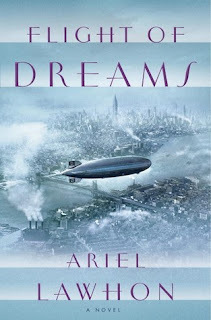 My thoughts: This is the second book I've read by Ariel Lawhon and I really enjoyed it. I find that her ability to weave fact and fiction into an intelligent and engaging tale is truly remarkable. I have to say that I didn't really know much about the Hindenburg before picking up this book...and so I was completely enlightened by what really happened. 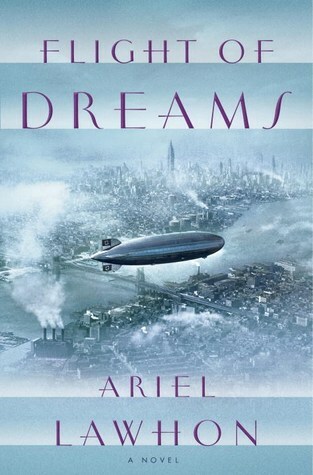 I know that this is considered historical fiction and that Ariel has taken some liberties here and there, but I also know that she has based her story on fact. She really does her best to stay true to actual events whenever she can and the characters, from what I understand, are all actual people who were on board that fateful journey. Knowing this, you would think that this would be a boring, straight-forward stale tale, and yet it is anything but. I found myself immersed in the tale and found that the characters, who again were all based on real life people, really came alive in this book. I found their stories to be so interesting - what their roles where and why they were on this airship. What I love most about this type of book is that is makes me want to know more...not that this book is lacking in any way, but I want to delve deeper into the history of the Hinderburg - I want to pick up more books about it, see what else has been written about it, both fiction and nonfiction. As I mentioned, I didn't know much about it and now I have a thirst to know more. That's why I love reading historical fiction - I love when a topic spurs me to want to know more about a particular subject and Ariel Lawhon has done just that! Audio thoughts: This was a great book to listen to and John Lee was the perfect narrator for it. I found his voice to be calm and steady throughout and he gave each character their own unique voice. I enjoyed listening to him and to this audio book.